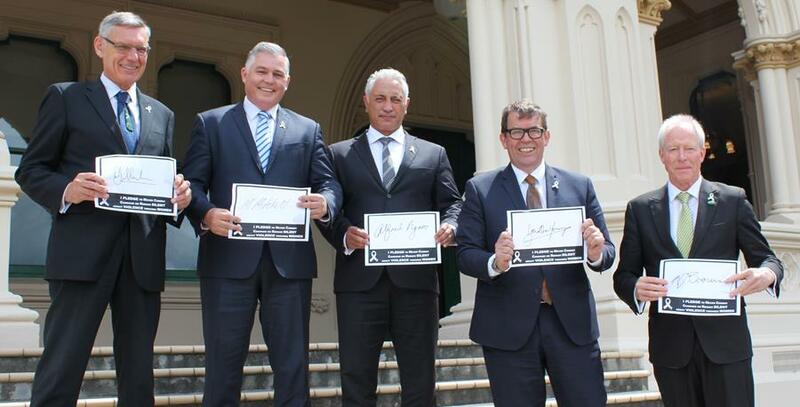 Five White Ribbon Ambassadors from Parliament stood together to launch this year’s White Ribbon Campaign by re-signing the White Ribbon Pledge to ‘never commit, condone or remain silent about violence towards women’ and to talk about ‘Respectful Relationships’. 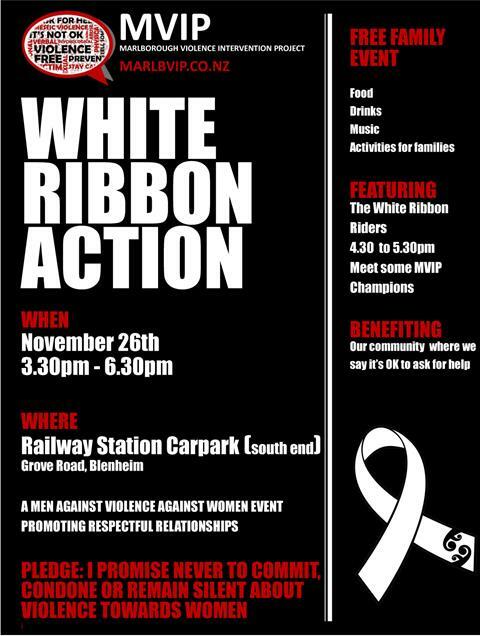 This year after community consultation, White Ribbon has created a bold campaign that asks men, what kind of guy do they want to be, respectful or violent? 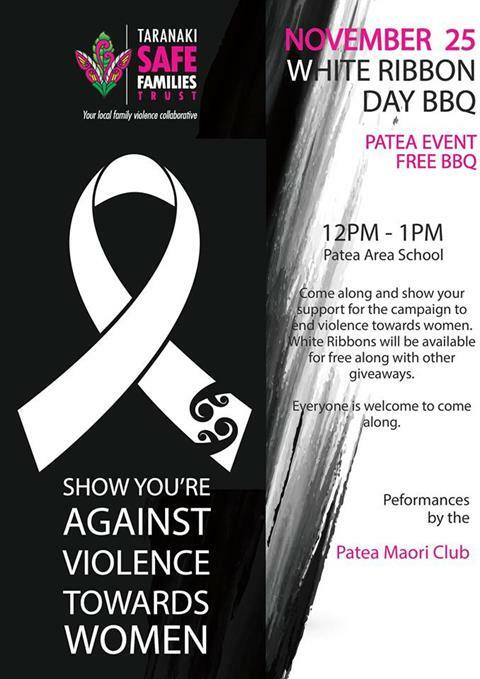 To get that point across, White Ribbon has been given permission to host the ‘cup of tea’ video which has been viewed over two million times around the world . “We’re asking men of all ages in New Zealand to watch this video explanation of consent,” says Mr McCann. “We want to make the information on consent as accessible as possible, so we’ve also created a ‘Toolbox’ which contains practical tips on how to treat women equally, communicate respectfully and have a respectful sexual relationship. We see this work as a protection against violence and we’re asking men to download the ‘Toolbox’ and then take The White Ribbon Pledge,” says Mr McCann. 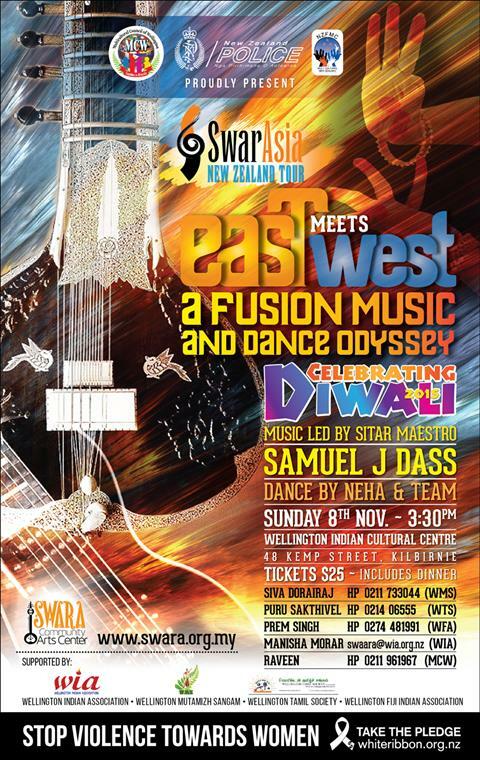 White Ribbon was privileged to be invited to participate at a major Diwali event in Wellington (East Meets West) and launch the campaign in front of 400 members of the ethnic community. 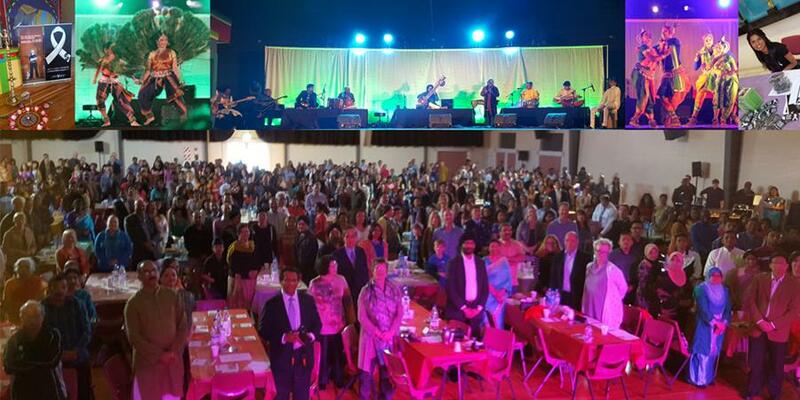 The entire audience and special guests all took The Pledge 'to never commit condone or remain silent about violence towards women' with her Worship Celia Wade Brown, Mayor of Wellington and Her Excellency Dato' Lim Kim Eng, High Commissioner of Malaysia to New Zealand, Manwaljit Singh Bakshi MP and Inspector Rakesh Naidoo NZ Police. A truly fantastic demonstration of community commitment. 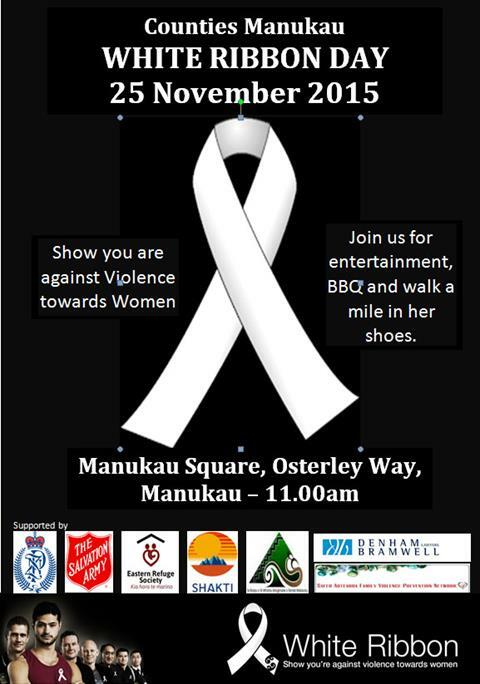 Special thanks to White Ribbon Ambassador Raveen Annamalai, President of Multicultural Council of Wellington for pulling this event together. 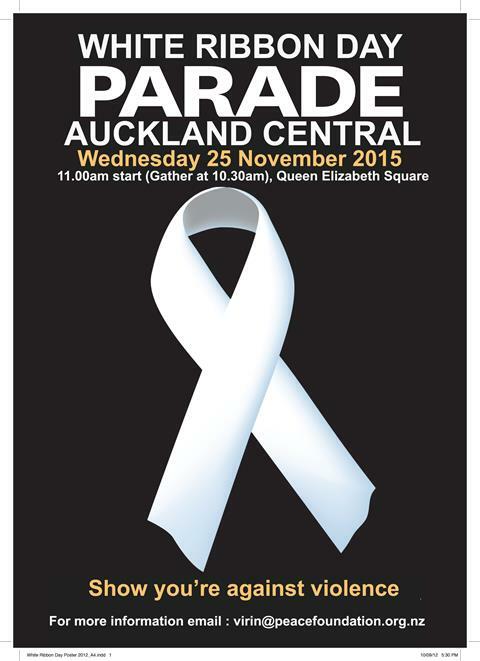 White Ribbon gives men and women the opportunity to take a stand against violent behaviour. 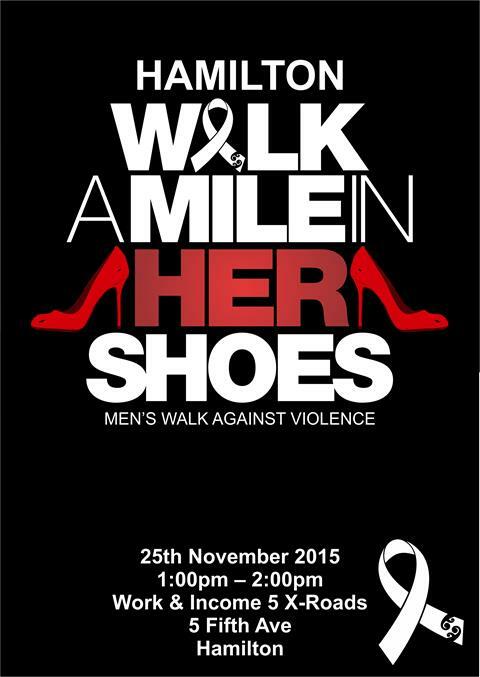 You can also show you support the campaign by donating and raising funds online. 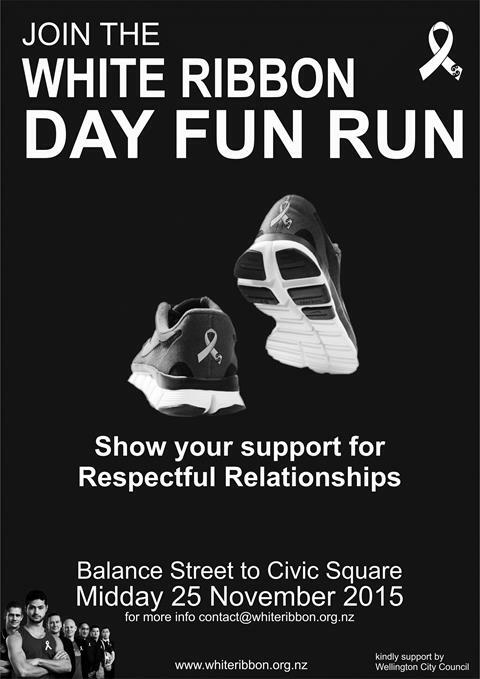 Say yes to respectful relationships and help raise funds and ensure we can continue to talk about this vital cause. Check out our new and exciting platform everydayhero or watch their promotional video. 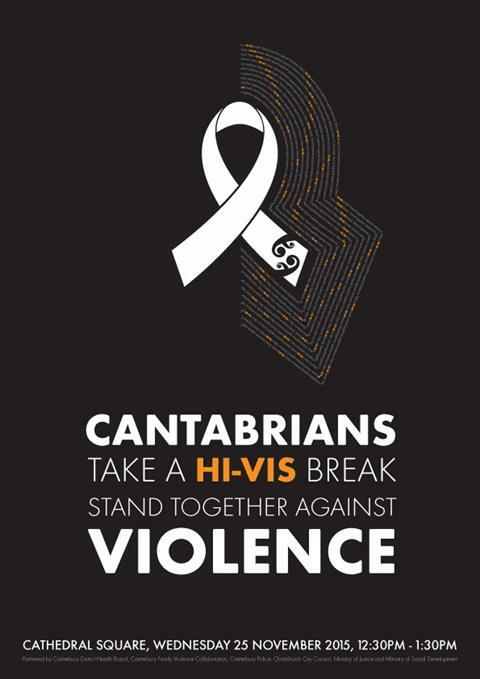 Rob McCann, White Ribbon Campaign Manager will be showing his support and the White Ribbon Team have set up an everydayhero page to help fundraise for the campaign . Rob has agreed to lose a minimum of 10kg with an aim of 15kgs. "Unfortunately I end up sitting in front of a computer screen for quite a few hours every day which is not good for my health. 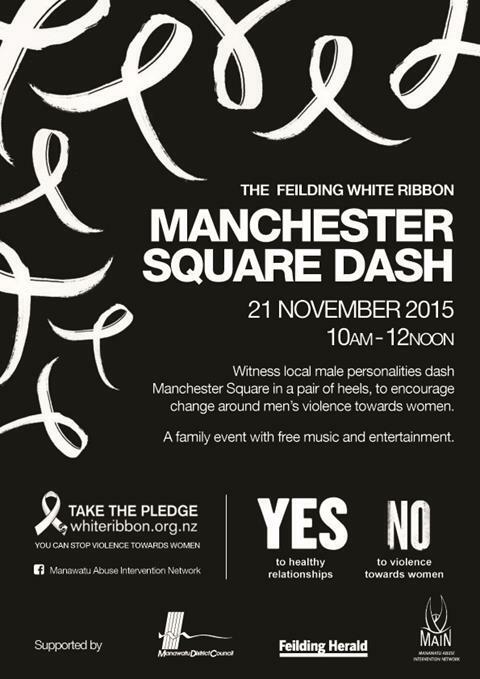 I can combine an aim of mine (to lose weight) with fundraising for White Ribbon, so it's a win win." 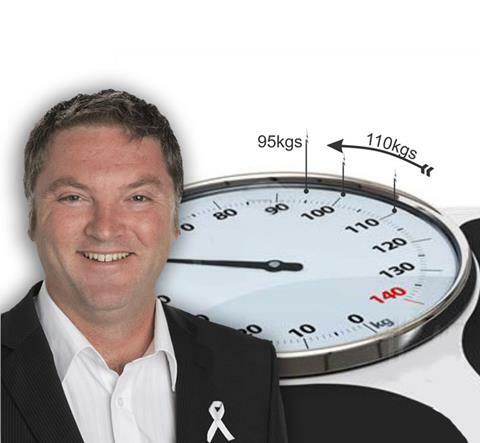 We hope you'll look at Rob's page and see just how easy it is to fundraise for White Ribbon so we can keep the heartbeat of the campaign healthy as well. Merchandise and resources are available to order right now. 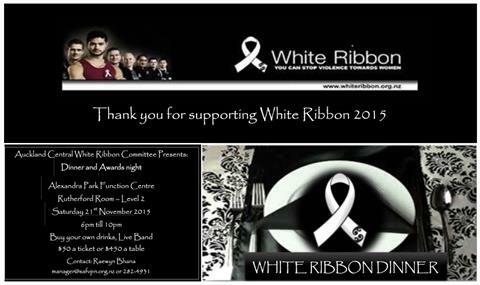 Click here to order from the White Ribbon Shop. Orders are now processed daily to ensure you receive your ribbons or posters etc as quickly as possible. 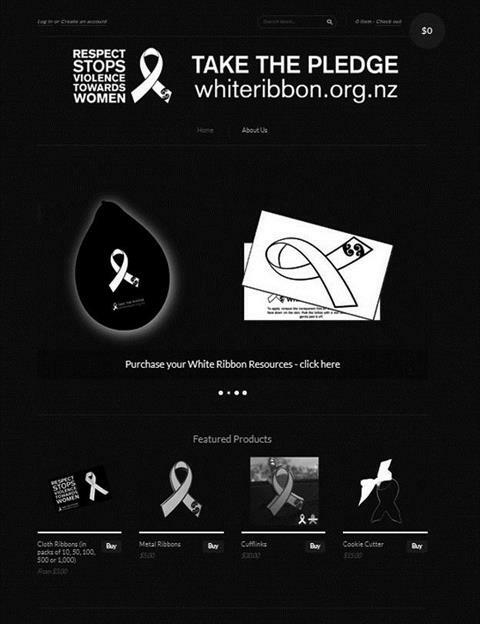 There are 14 products available for ordering to help you promote the White Ribbon message. All posters and flyers are free. 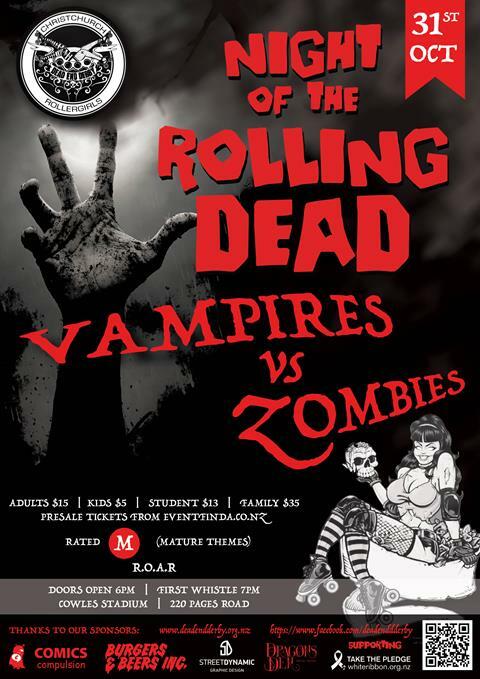 Don't forget there are three posters this year! If you intend to pay by either invoice, direct credit or cheque click on the 'bank deposit' button and proceed. An invoice will be emailed to you. Please help us to promote activities by registering your event. This is purely for the purpose of sharing information on our Facebook and website. 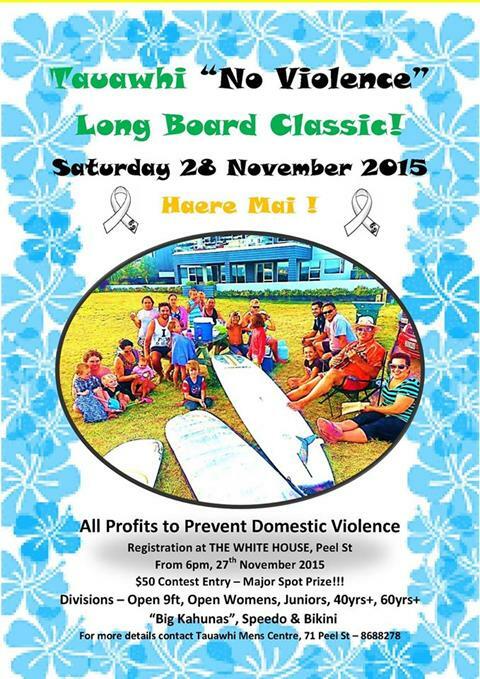 Here's a selection of events, but for more info click here. 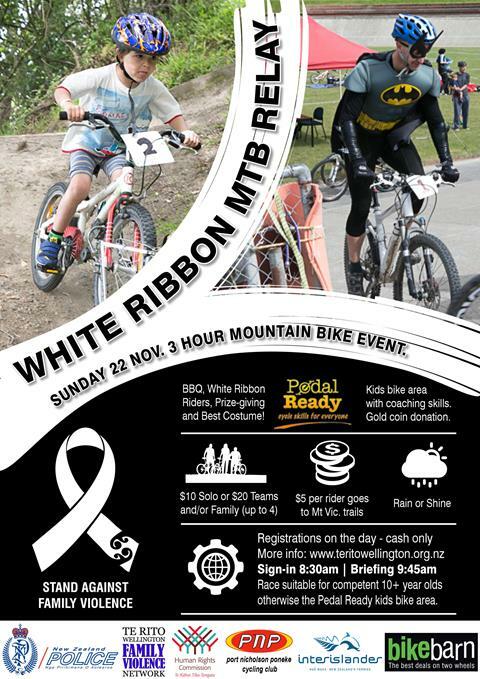 The White Ribbon Ride is set to launch across New Zealand from 20 November. 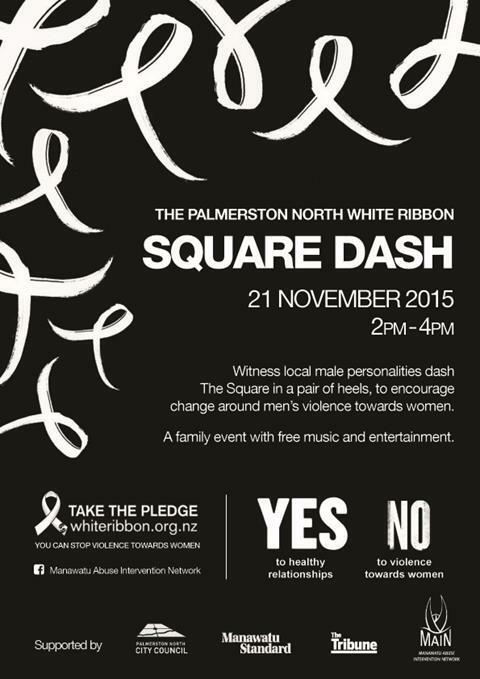 For more information about the ride email contact@whiteribbon.org.nz or click here to download the latest itineraries to see where the ride is going and when. There are three North island Rides and one South Island Ride. You can follow the riders on their own Facebook page.